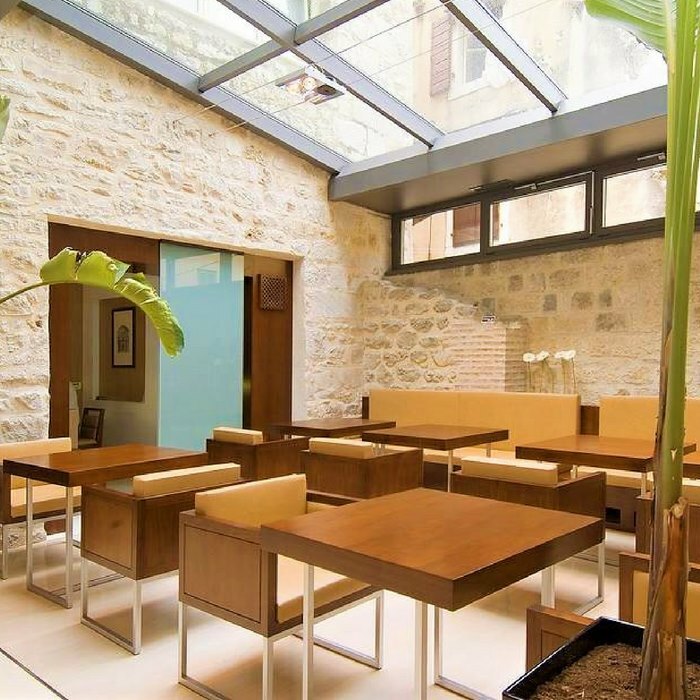 Hotel Vestibul Palace is a stylishly modern and chic boutique establishment and a member of Small Luxury Hotels of the World. 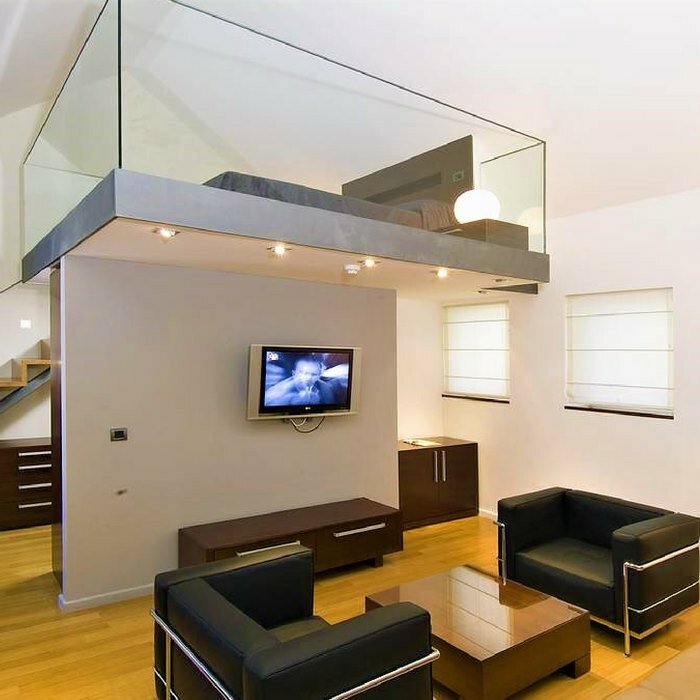 An exceptional standard of service and luxurious accommodation is on offer. The 4 star hotel has a peaceful and relaxing ambience and is the perfect place to stay if you are looking for a luxury holiday to Croatia. 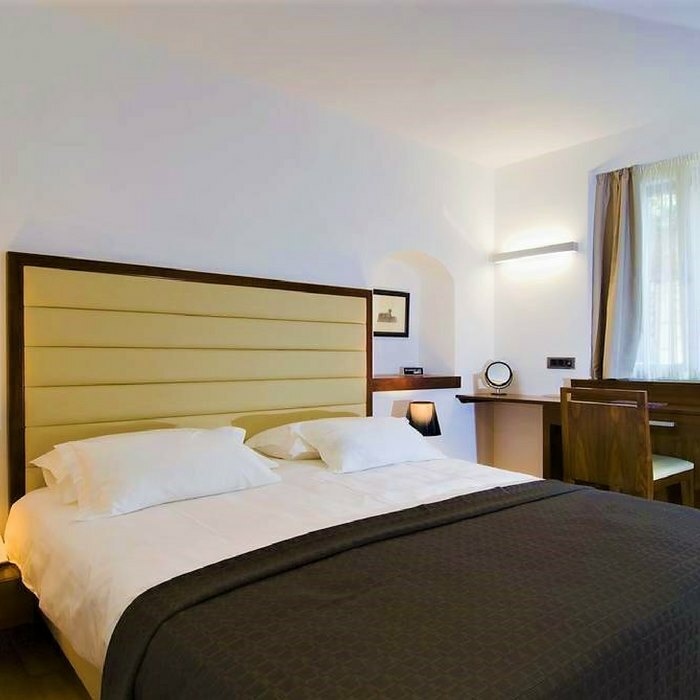 The hotel is located in the heart of the Diocletian’s Palace between the emperor’s chambers and the emperors square. The hotel was created by merging 3 palaces from 3 different periods: Gothic, Roman and Renaissance. The hotel therefore offers guests a combination of modern and antique feel with all the furniture in the hotel hand crafted. Guests can enjoy room-service breakfast and evening a la carte dining in the on-site restaurant. There is also a stylish café bar, terrace and separate TV lounge area. 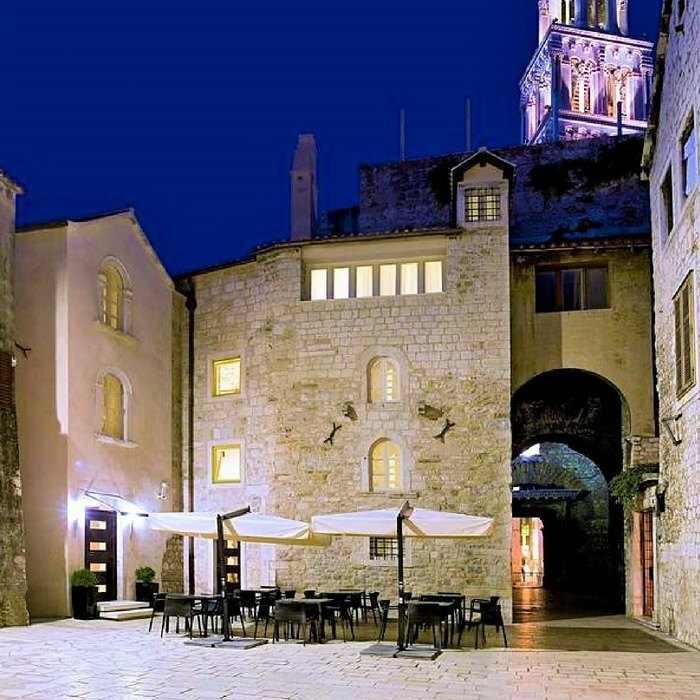 With plenty of bars, bistros and restaurants located within easy walking distance of the hotel lobby there is always something for active holidaymakers to do in Split. Popular local historical and cultural city sights and attractions include the Peristil, the Saint Duje Cathedral and the Riva promenade.